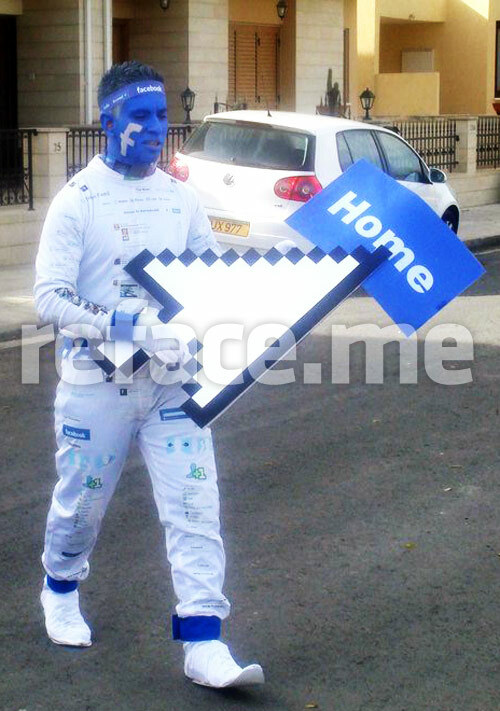 We’ve seen dozens of different Facebook costumes, so we’re not easily impressed. 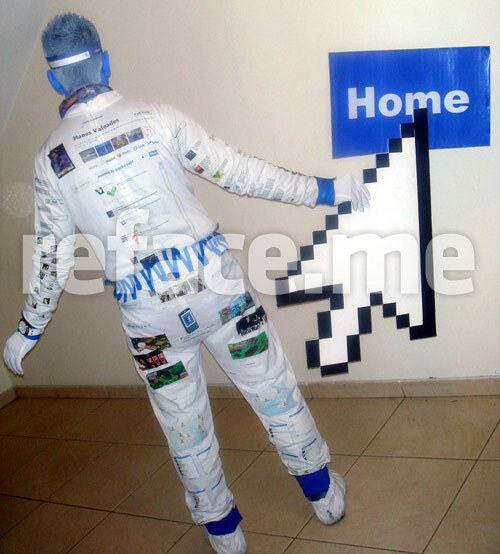 But when reface.me reader Manos Vafeades sent us an email about the costume he made for last month’s carnival festivities, we just had to share the pictures with you. Carnival, or “karnavalia” like it’s called in Cyprus where our refacer is from, is celebrated just before Lent in Roman Catholic and some Eastern Orthodox societies. Like Halloween, it usually involves costumed parades and parties. So Manos spent about 10 days preparing his awesome costume; taking screenshots, editing them in Photoshop, printing the images, and then ironing them onto his clothes! 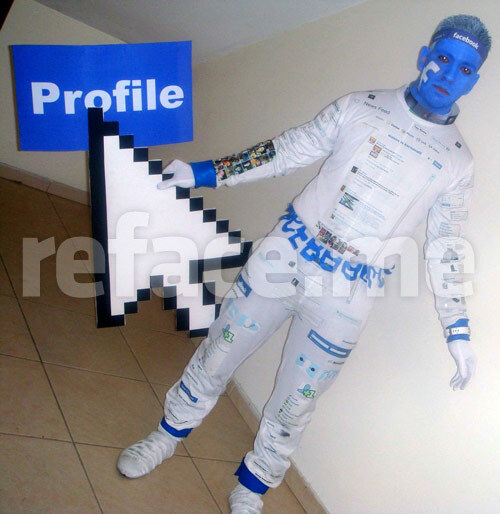 Not satisfied with Facebook being printed all over his outfit, he completed the costume by wearing a Facebook headband, drawing the letter F on his blue face and carrying around a huge mouse pointer. Of course, his great efforts didn’t go unnoticed and Manos won the 1st prize for “Best Individual Costume” in a local contest. Do you agree it’s a successful representation? Posted by Pieter on March 26, 2011 at 6:13 AM. Use this trackback if you're linking this story.